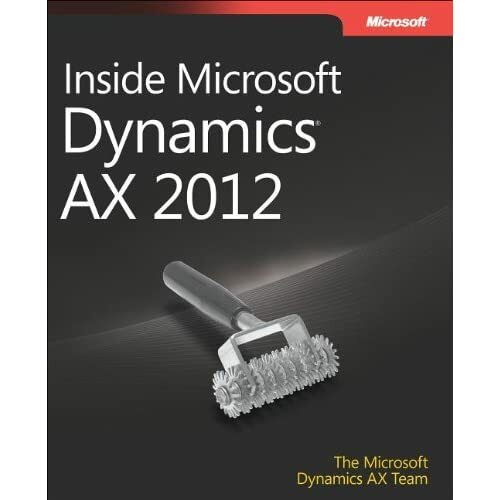 With the release of AX 2012 the market was in need of an updated book on the development aspects in X++/.NET for the purposes of extending the AX application functionality. As some of you might know, I translated 2 of the MS Press books on AX development for the previous versions to Russian. This time around, I was lucky enough to participate in the creation of the English version as well. The book has been significantly updated to account for the numerous changes in the latest AX release, so I am sure many of you will enjoy the read. In my post about UtcDateTime in Dynamics AX, I recently received a question about determining if a specific string is a valid UtcDateTime in X++.I've spent some time looking into it and could not find an available method that could be used for that. Also, it was not really clear, which format should be called valid. Anyhow, I have so far discovered 2 ways to do it in AX: the simple way, and MY way :) They produce slightly different results however. Let me know if you find other ways. The simple way is to use the intrinsic function str2datetime. As you can see on MSDN, it supports a couple of input formats, and if you provide a non-date value, will just ignore it silently and return an empty value. And, as you can see from the below test job, specifically this format is not supported by str2datetime. So I wrote my own method based on DateTimeUtil::parse(), that returns true/false based on the string value matching the above format. This is however the only supported format for DateTimeUtil, so the other 3 examples that work with str2datetime do not work here. Anyhow, you can download the code (I've put the method into Global) and the test job from my SkyDrive. As you all know, there are multiple ways to define and use macros in X++. Below is a simple X++ job, that demonstrates an existing shortcoming in the #define command, and a possible workaround for this problem. Nothing complicated, basically, just use #localmacro, if you can't compile your code. "Why are brackets ')' not working ?" Thanks for finding the issue to Bogdana, one of our new developers. What I am asking from you guys is some time (2 minutes or so) to fill out the survey below about how much you make, what kind of benefits you get, where you work, and so forth. It's anonymous, obviously, and every participant will get a copy of the report afterwards. And this time around, you can even win something for participating! So please do. 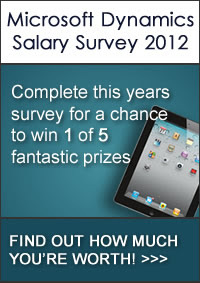 Nigel Frank International would like to invite you to complete our annual survey of global Microsoft Dynamics salaries. The survey will only take a couple of minutes to complete and your response and any personal details will be kept strictly confidential.